I love to visit my family on the East Coast but it never seems to fail, every time I travel, I end up sick. I often get sick on airplanes, does the same thing happen to you? Usually, I’m fortunate enough that the symptoms don’t start until I return home, but my luck ran out on my last trip. Halfway through my week-long visit with my mom, I woke up with a stuffy nose, sore throat, and a cough. 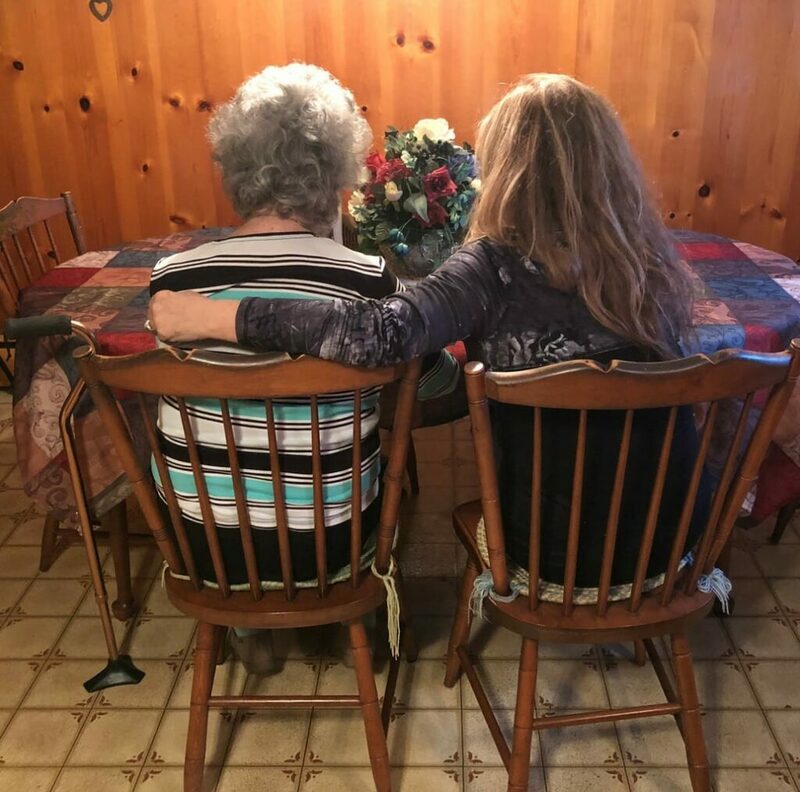 On top of feeling miserable, I was also worried about passing my germs to my mom, who will be 90 years old this summer. I headed to my mom’s local Target store to pick up some much needed cold medicine, tissues, and cleaners. 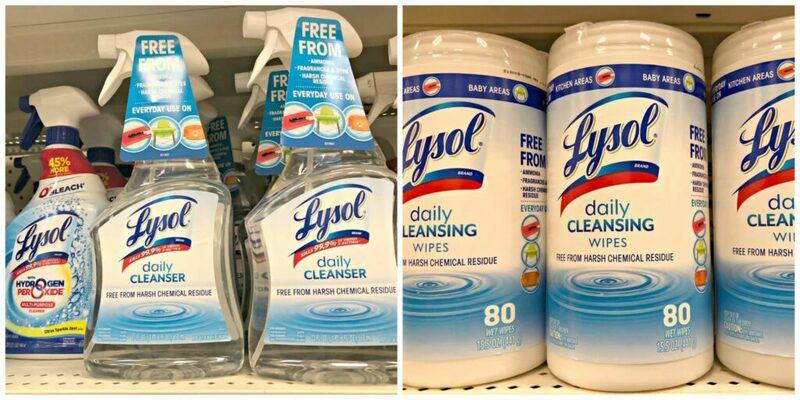 Even though I wanted to disinfect my mom’s house, I didn’t want her surrounded by harsh chemicals either, so I was thrilled when I came across the new Lysol® Daily Cleanser Spray and Lysol Daily Cleanser Wipes in the home cleaning aisle at Target. Like the regular Lysol line, the spray kills 99.9% of germs but contains only 3 simple ingredients and is free from ammonia, fragrances, and dyes so it’s safe to use around my elderly mom. The new Lysol line is safe to use on surfaces around all your loved ones, young and old! These new products don’t leave behind harsh chemical residues so you can also use them on surfaces that food touches with no rinsing required. Knowing that mom would be spending time in the car with me, I opened the container of Lysol Daily Cleanser Wipes and began wiping down the car’s steering wheel, shift knob, seat belt buckle and door handles. I even wiped down the handle part of the car key. Unlike other wipes, no rinsing is required with Lysol Daily Cleanser Wipes so you can just wipe them on and let the surface dry on its own. You can also use the wipes on toys, baby areas, and pet areas making these a must-have product for everyone. When I got inside my mom’s house I started thinking about all the surfaces I had already come into contact with that I needed to disinfect with the Lysol Daily Cleanser Spray. It is amazing how many different things we actually touch throughout the day. In the kitchen, I sprayed the counters, sink, and stovetop with the Lysol Daily Cleanser making sure to thoroughly wet each surface with the spray. Then per the instructions for disinfecting, I left the spray on for 10 minutes while I cleaned other areas and then wiped the spray away with a clean towel. If you are pressed for time, you can leave the spray on the surface for only 5 minutes before wiping it with a towel which will sanitize the surface but will not disinfect it. There’s no harsh chemical residue left behind so there’s never a need to rinse the area. I also used the Lysol Daily Cleanser in the kitchen to wipe down the oven door handle and oven knobs, the fridge handle and the handles of the drawers inside the fridge, the microwave handle, and buttons and even on the push button on my mom’s kitchen trash can. In the bathroom, I disinfected the counter, sink, shower, toilet and tile floor with the Lysol Daily Cleanser and used the Lysol Daily Cleanser Wipes on the handles of my hairbrush and toothbrush, the tube of toothpaste, the soap dispenser, and my bottles of shampoo and body wash. Then I used to use the Lysol wipes throughout the house to clean the light switches, door knobs, TV remotes, house phones, my cell phone case and my computer keyboard. I even used them to wipe down the outside of my hard-sided luggage. Fortunately, I was feeling better by the end of my visit but I still packed the Lysol Daily Cleanser Wipes in my checked luggage so I could use them to wipe down my seat and tray table on the airplane, in my home, and when I go to the gym. I let my mom keep the Lysol Daily Cleanser Spray. 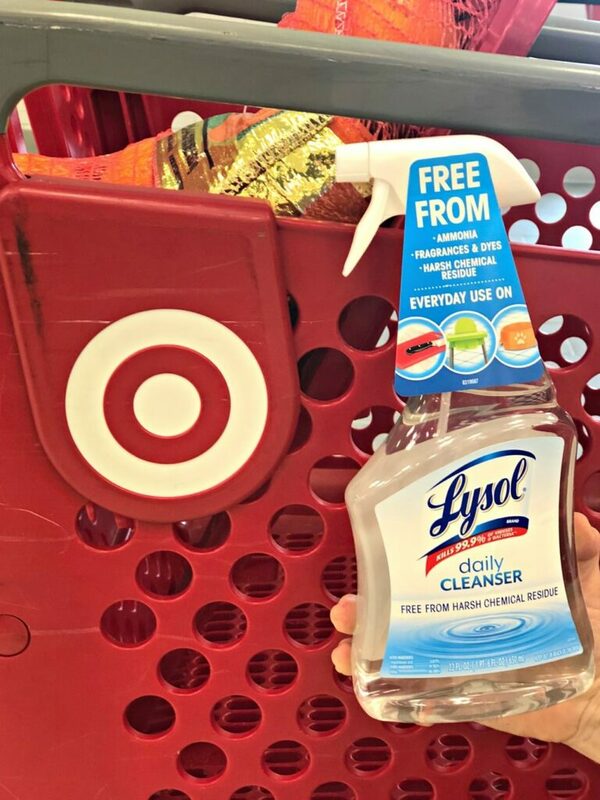 On your next trip to Target, don’t forget to pick up the new Lysol Daily Cleanser Spray and Lysol Daily Cleanser Wipes. You will find them in the home cleaning aisle. 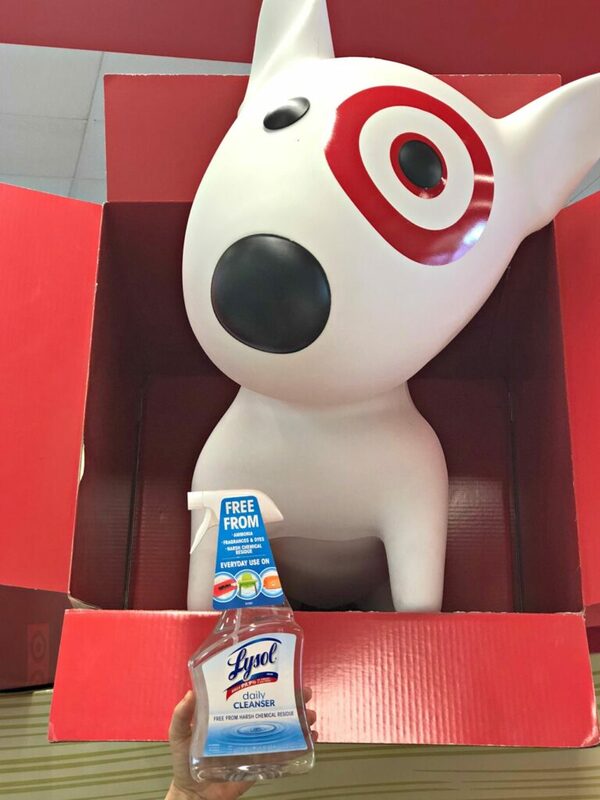 You can Buy One Get One 20% off at Target from May 27- June 2.